The 33 year old Bayern defender, Rafinha, has had a very negative response to his Halloween costume. The Brazilian decided to disguise himself as an ‘Arabic bomber’ wearing a traditional Arabic dress and head scarf carrying explosives. The defender has apologized for attending the club’s Halloween party dressed up as such, exclaiming: “I have a lot of Arabian friends and I love every one of them.” This apology left fans and others unsatisfied and even more angry in regards to the player’s actions. Bayern Munich’s Twitter account successfully removed the post, which showed off the players in their costume. However, the backlash had already been underway, and there was no coming back from it, with fans demanding an actual apology from the player. The full back posted his apology with a picture of his costume, which he later replaced with a photograph of him in action for Bayern Munich, as it felt more respectful. “Halloween is a scary celebration with exaggerated costumes. It was not my intention to anger anyone through my disguise or hurt someone’s feelings! I am sorry… I respect all countries and all religions!” This apology was accepted by some fans, but other felt it was forced. On October 27th, a helicopter crashed shortly after takeoff from the King Power Stadium, home ground of 2016 Premier League winners, Leicester. The aircraft had five passengers on board: the pilot, Eric Swaffer, and his partner, Izabela Roza Lechowicz, two passengers, Nusara Suknamai and Kaveporn Punparend, and the club owner Vichai Srivaddhanaprabha. Unfortunately, later investigations showed that no one survived the incident. Leicester City Football Club were left devastated by the horrific accident, as they dedicated their late winning goal in their last fixture to their owner. Both Leicester and the Danish goalkeeper for the club, Kasper Schmeichel, expressed themselves by writing a letter to the deceased, in which they detailed their sorrow and the proudness they felt towards the man and his accomplishments. The Leicester players and staff are attending Vichai Srivaddhanaprabha’s funeral in his Thai hometown. 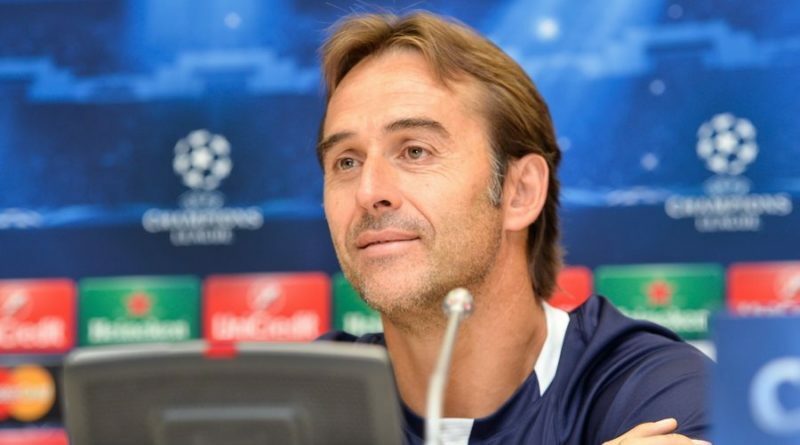 Right before the World Cup in Russia, and after being sacked from the Spanish national team, Lopetegui joined Los Blancos for their first season in nine years alongisde the Portuguese goal scorer, Cristiano Ronaldo. Under their new manager, Real Madrid are having their worst start of the season in nine years, leading to the club currently being 9th place in La Liga. Lopetegui was sacked right after a humiliating defeat to Barcelona in el Clásico, with a 5-1 loss. Only disputing 14 games with the Madridistas, the manager has left fans and the club’s president, Enzo Perez, disappointed and unsatisfied with his results. Rumours of Antonio Conte replacing the Spanish manager were dropped, after talks between Lopetegui and the club were left in disagreement. Santiago Solari, whom previously managed Madrid’s B team, was appointed to be manager and has won his first two fixtures with the club so far.